A million lights will illuminate fantastic activations, including Santa’s workshop, a petting zoo, a human snow globe, holiday movies on the lawn, a walking light trail, and the world-famous Tunnel of Lights! The holiday cheer doesn’t stop there! Guests can purchase tickets for additional offerings, which will include a hot air balloon float up to 100-feet high, Santa’s train ride for kids, a giant skating rink, camel rides, carnival rides for both children and adults, and souvenir photos with Santa Claus. Families who donate a book to the Pizza Hut BOOKIT! Program at Winter Wonderland will receive one complimentary ride on the COTA Express. Guests can also hear their favorite stories read daily by Santa’s better-half at the Mrs. Claus Reading Hour in the Grand Plaza. Adults are invited to enjoy a frosty beverage and friendly games in the Bud Light Friends Chalet after walking the .8 mile Circuit of Lights. Entertainment throughout the Winter Wonderland includes a variety of performances featuring Austin school district ensembles and local artists. Guests will find food trucks, hot cocoa stands, and other holiday-inspired beverages at Winter Wonderland. Visitors can also partake in holiday shopping at one of the world’s largest pop-up store operators, Go! Games—offering an extensive collection of games, toys, and books—in addition to the charming Bavarian Village with local vendors selling handcrafted goods in an enchanted setting. This holiday takeover is an adventure families and friends in Central Texas won’t want to miss! 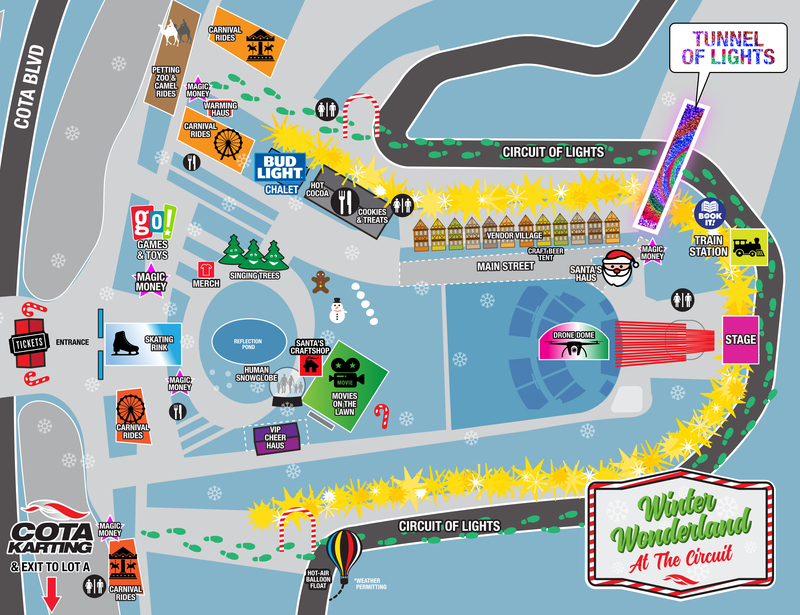 Tickets available at the Grand Plaza box office or online at circuitoftheamericas.com/winter-wonderland. Discounted group ticket sales, as well as an option for corporate parties are also available. 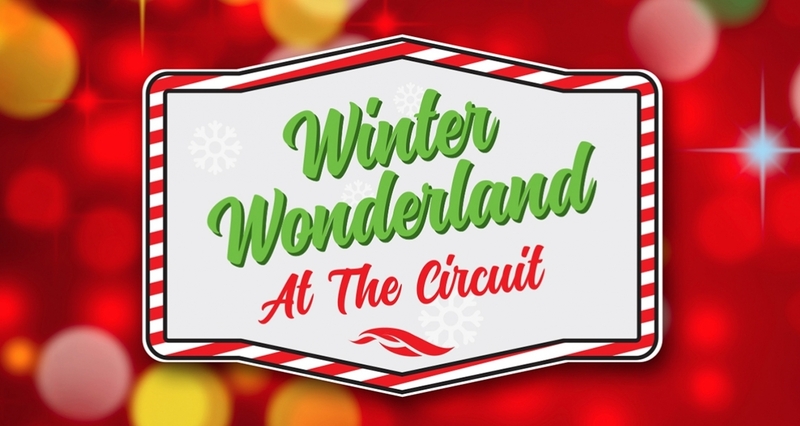 For information regarding special bookings or Winter Wonderland at The Circuit, visit circuitoftheamericas.com/winter-wonderland.